Now that you have found true love, you just need to find the perfect place to celebrate it. 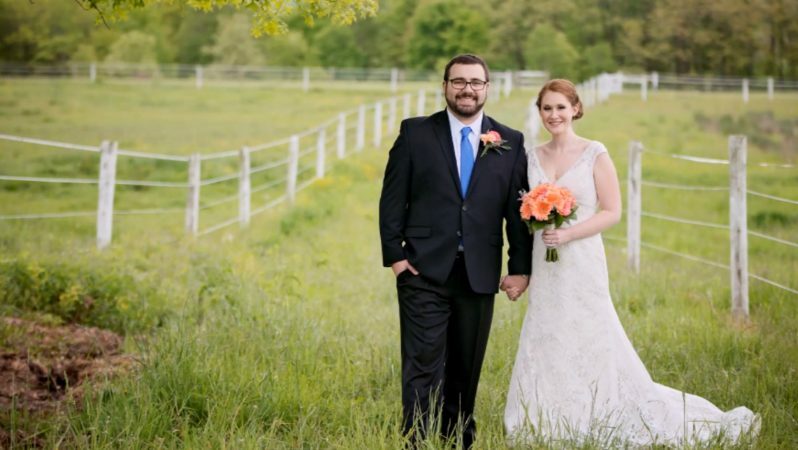 Your special day should be beautiful, memorable, and stress-free, so look no further than The Inn at Westwynd Farm to help you make your fairytale come true! Our romantic venue and all-inclusive package are guaranteed to make your wedding day unforgettable. 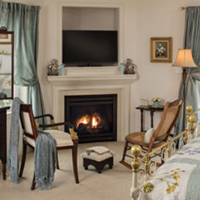 Our luxurious Inn is tucked away on a charming equestrian farm in Pennsylvania. We offer the finest amenities, daily gourmet breakfast, and delightful afternoon refreshments to enjoy in our serene setting. 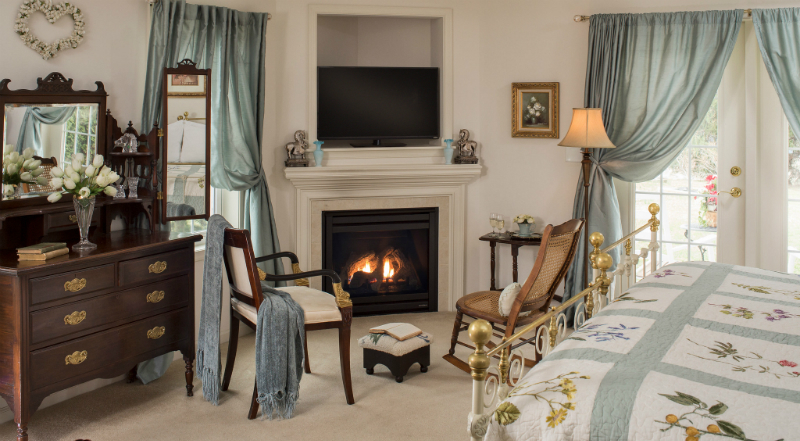 Each inviting room is complete with unique antiques, a Jacuzzi tub, a cozy fireplace, and views of our gorgeous grounds. Our Elopement Package, which is only $900, includes everything you need for the perfect small wedding with up to 10 guests. 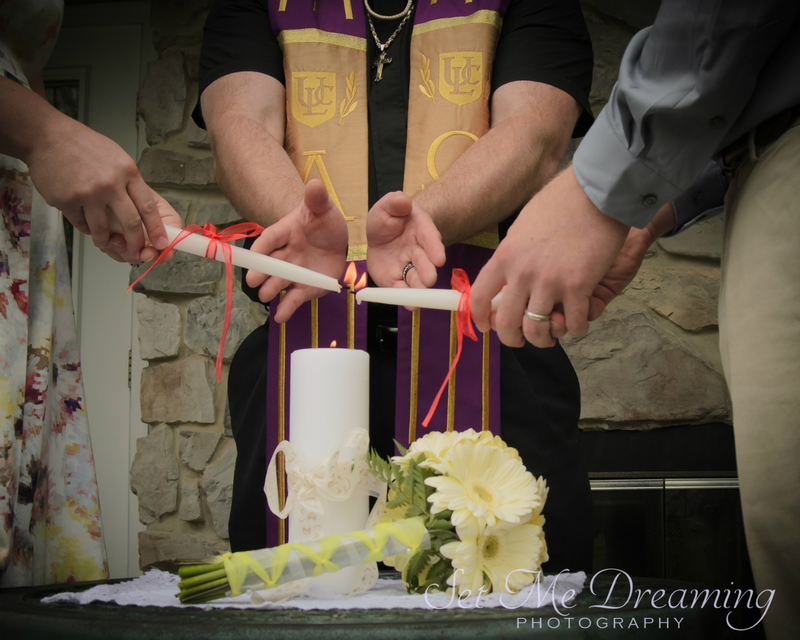 It includes the officiating clergy, two witnesses, bouquet, boutonniere, delicious cake, Champagne for toasting, keepsake flutes, and a $100 gift certificate for an intimate dinner for two at The Mill – one of Hershey’s top-rated restaurants. Plus you will get a half hour photo session with a professional photographer. All you have to bring is your wedding license, rings, and excitement, and we will prepare the rest! We know that weddings require an immense amount of planning. Let us relieve you of all the stress by taking care of every detail, so you can cherish every moment with your loved ones. 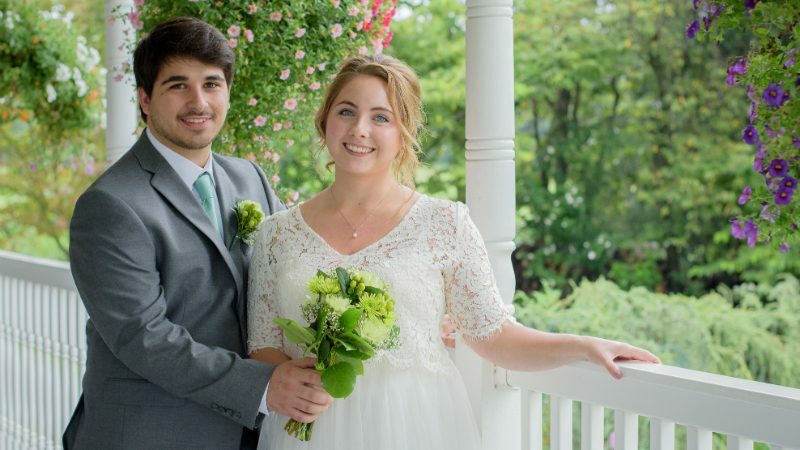 Once you have booked your Elopement Package, we will walk you through the location, cake, and flower decisions so that your wedding is personalized and unique. 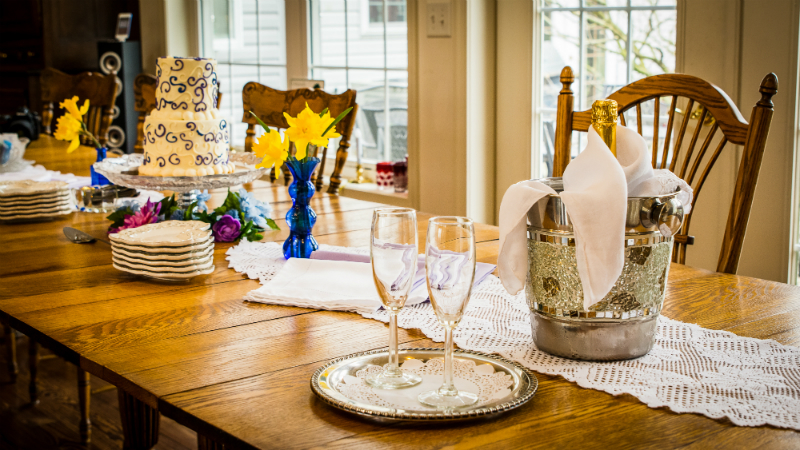 Our experienced innkeepers have anticipated every need so that when the special day finally comes, everything will be thoughtfully prepared while you relish each moment! Our property is the picture-perfect year-round venue for your special event. 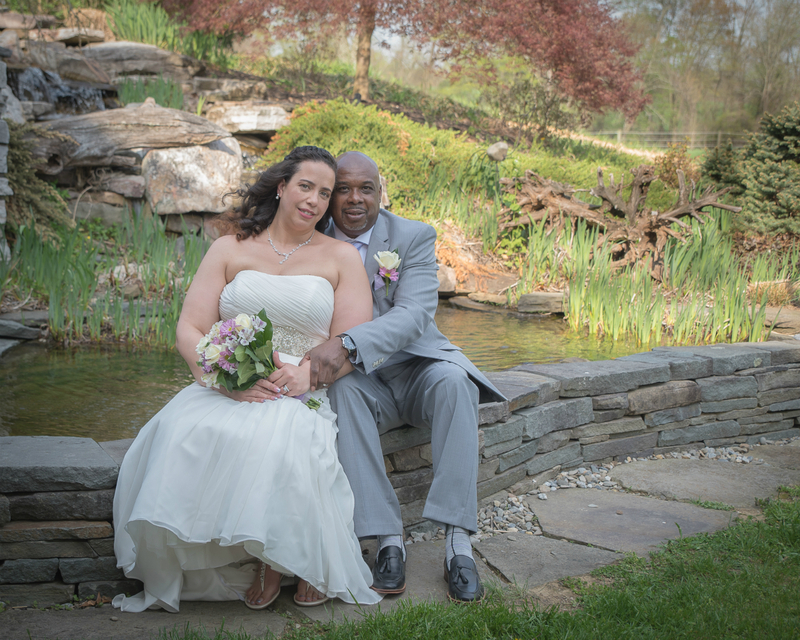 Picture a gorgeous summer wedding in our garden by the soothing waterfall. Or a great autumn wedding with the crisp fall air and vibrant array of warm colors painting the landscape. You could also elope in the winter and be married in front of one of our elegant fireplaces as white snow falls outside. No matter which location you choose, we are sure that your day will be extra special at our lovely Inn. The beauty of weddings is that your love story is only just beginning. So why not extend your stay and spend your honeymoon in Hershey as well? Our country Inn is a great place to spend quality private time with one another and celebrate this joyous occasion with our Honeymoon Package. Drink wine by the fireplace at night, relax in a Jacuzzi bath, admire the beautiful grounds, and savor the delicious seasonal breakfast each morning. Plus there is so much to see and experience in Hershey like outdoor adventures, famous landmarks, shopping, wineries, chocolate…we’ve got it all! So treat yourself with ultimate luxury and make memories that will last a lifetime. 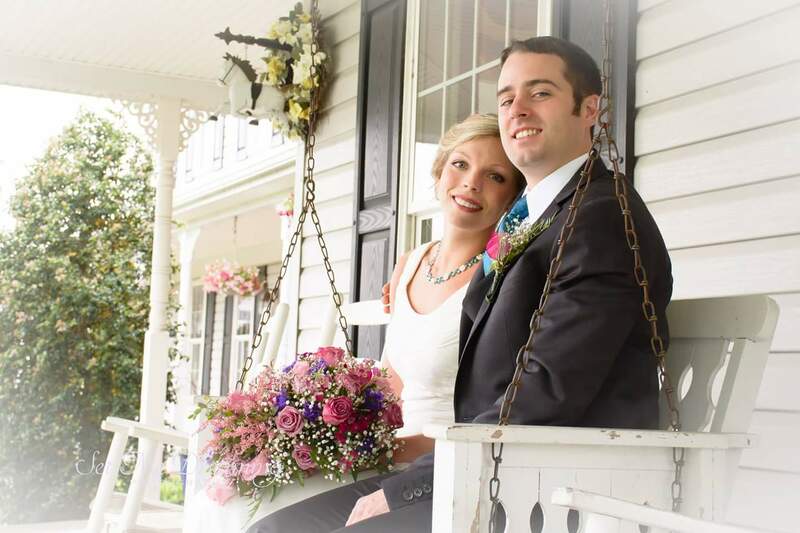 If you are looking for an enchanting, all-inclusive wedding day, join us at The Inn at Westwynd Farm, where charm, elegance, and romance combine to create the day of your dreams. Let us help you celebrate your love and commitment to one another with an unforgettable, hand-crafted experience.